In Episode 88 of the Final Surge Podcast we talk to 2012 Cabo Verde Olympian Ruben Sança. 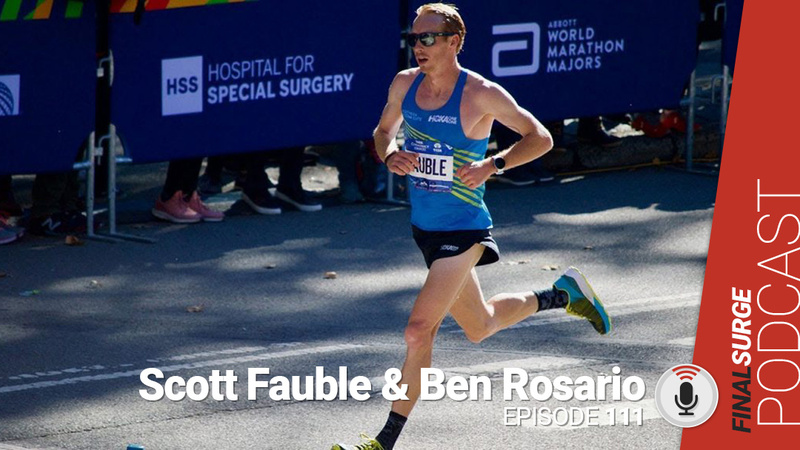 We discuss how Ruben got into running, his move to the United States, and how he started his coaching business, the Lowell Running Company which has partnered with the Baystate Marathon to provide training for it’s participants. Welcome to Episode 88 of the Final Surge Podcast where today we welcome Olympian runner Ruben Sanca. Ruben ran for Cabo Verde in the 2011 World Championships in the marathon and the 2012 Olympics in the 5k. Ruben won 2017 New England Grand Prix Road Racing title and was elected U.S.A. Track & Field New England Male Runner of the Year. We talk to Ruben about how he came to American at age 12, his running career and about his newer company, The Lowell Running Company. Listen to the podcast on iTunes or listen to it on Stitcher or Google Play if you have an Android device. Ruben can you start out telling us a little bit about yourself and how you got started running? So you came to the U.S. at the age of 12. I don’t know a lot about Cabo Verde besides it’s off the coast of West Africa. Did you speak English? Tell us what it was like for a 12-year-old to come here? Was running big there or something you didn’t discover until you got here? You ran at U Mass Lowell then you went on to compete at the World Championship in 2011 in the marathon and the London Olympic Games in the 5k in 2012. What was it like competing in the Olympics? What is your running goals now? You are working full time, you train 100 miles a week and you manage the Lowell Running Company. How do you fit it all in? So one of the ways I first started noticing what you were doing was from the activity online with the Lowell Running Company. Can you tell us what the LRC is and how that started? Do you do group runs or is it all virtual? Is your coaching all in person or do you virtual coaching too? Do you work with mostly marathoners or do you work with others? How are you using Final Surge in your coaching? Your favorite workout – 4 x mile at 5k pace for track and for marathon 3 x 3 mile at marathon pace w/ a mile recovery at 95% marathon pace. This is one of the standard marathon workout I do in the beginning of every marathon block. Final Surge is dedicated to bringing athletes and coaches of all types the very best online training product on the market. Founded and created by both athletes and coaches, we understand your needs in today's training environment. Final Surge is dedicated to bringing athletes and coaches of all types the very best online training product on the market. Founded and created by both athletes and coaches, we understand your needs in today’s training environment.